Behavior analysts work with patients with developmental disabilities. If this interests you, or if it could enhance your major degree of study, then a minor in behavioral analysis from University of Houston-Clear Lake will strengthen your career path. Across 15 hours of course work, you’ll explore the basics of how we learn, develop an understanding of key analytical methodology, and participate in practical laboratory examinations that expand your knowledge base. This minor is a perfect complement to a bachelor’s degree in psychology, sociology or behavioral sciences, especially if you aspire to a graduate degree. Through this minor, you can earn the necessary coursework that, combined with a supervised experience, allows you to sit for the Board Certified Assistant Behavior Analyst examination. 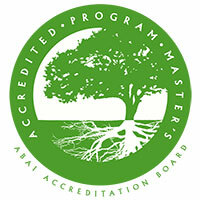 The Behavior Analysis program is accredited by the Association for Behavior Analysis International Accreditation Board. Program information is published by the Behavior Analysis Certification Board in its annual report.